It is interesting to note that in the English language we have such variety of words, or a colourful language. One word can describe several meanings but often a word leaves us wondering what it means too. Below I will give a couple of examples of such words which may be of interest to you as a teacher, parent educator or ESL student. The manner in which an individual moves his/her tongue, lips and jaw when making a sound. The individual sounds of a language. 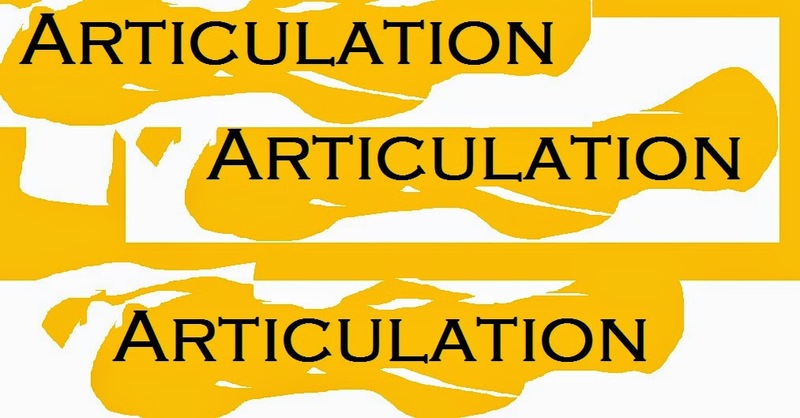 When teaching English to a learner the articulation is important as your learner will take on, or copy what and how you present the sound of a word or sentence. If your personal articulation is above standard.... most likely your learner will develop the same standard, which is a good thing. Individual sounds of a language vary from county to country so of course there will be differences if you have been educated in the USA, UK, Australia, or perhaps New Zealand. If you have been shifting around 2 or more English speaking countries you may even have developed a whole new way of sounds. It is therefore important when dealing with young learners or ESL students that your teaching is of a good standard so they have a head-start in life. It is also important to use good teaching materials.